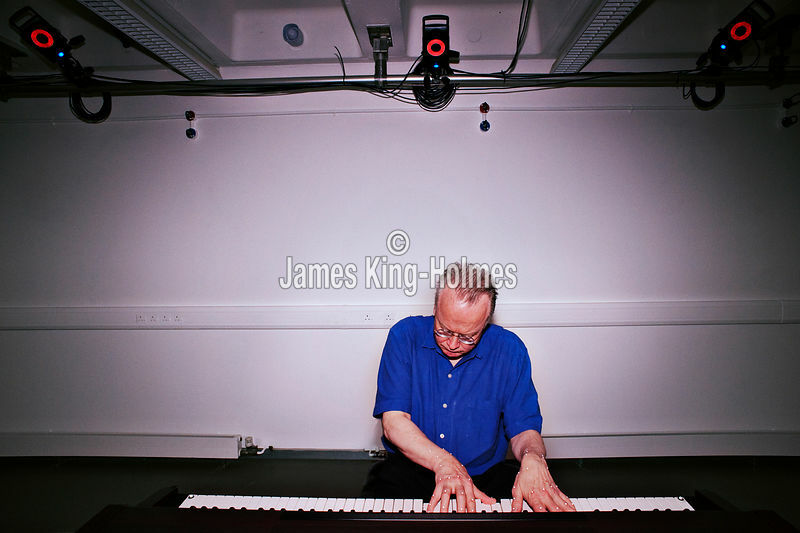 Prof. David Owen Norris, noted pianist and Professor of Music at the University of Southampton plays a piano whilst high-technology Vicon motion-capture cameras plot a 3-dimensional image of the small retroflective markers taped to his hands. The array of cameras are sensitive only to illumination at the specific frequency given by the integrated light sources which appear red. This technique is known as HAWK (Hand and Wrist Kinematics).